DOES MICROWAVING YOUR KITCHEN SPONGE DISINFECT IT? Don’t be so quick to throw your dirty sponge in the microwave. Unfortunately, this too-good-to-be-true kitchen hack holds very little water. Despite the long-standing theory that nuking your sponge can help keep it more sanitary, a recent study found it may actually do more harm than good, killing off weaker viral strains but allowing the more virulent ones to multiply. The origin of this myth comes with the fact that yes, microwaving your sponge will eliminate the weaker strains of bacteria. But the more powerful, stinkier bacteria strains will only replace the weak, inhabiting the entire sponge. “There are probably no other places on earth with such high bacterial densities,” Dr. Markus Egert, one of the studies conductors said. 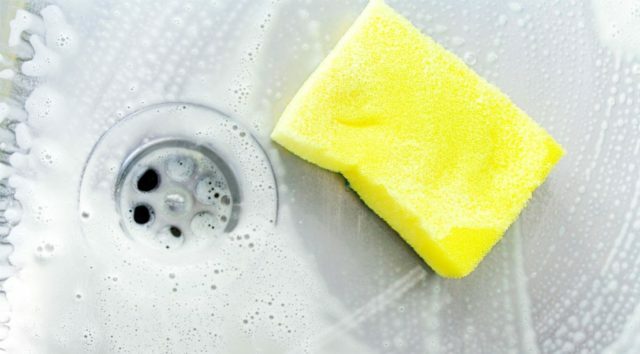 German scientists found 82 billion bacteria in one cubic inch of sponge— about the same density as a human stool sample, so do yourself a favor and replace it every week or so with a new one.